The Dylusions Creative Journal is now available in an 8 x 8 inch square or 21.5 x 21.5cm and contains 48 unlined pages. The Square Standard Journal features durable mixed-media cardstock. 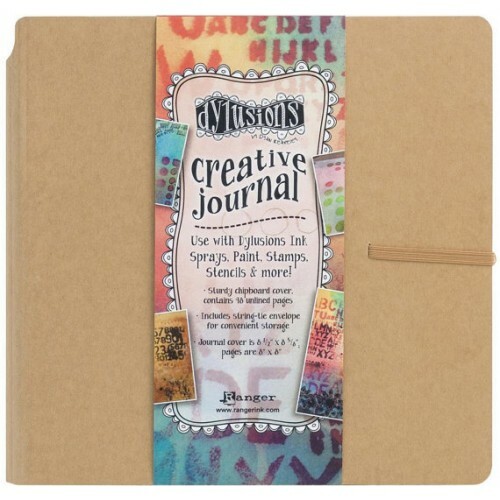 The new Creative Journals are ideal for using Dylusions products, including Ink Sprays, Paints, Stamps and Stencils as well as for doodling, collaging and other art journaling techniques.